Oisín Hassan and Lorna Fitzpatrick are running for the presidency of Ireland's national students' union. 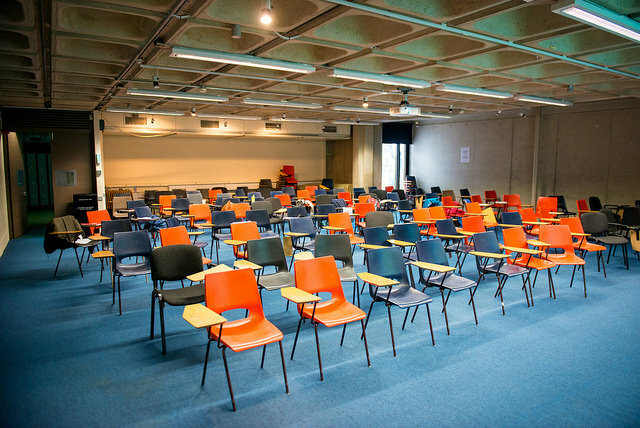 It’s been a few years now since the member organisations of the Union of Students in Ireland (USI) witnessed a contested presidential election, and it’s not unreasonable to suggest that this is a year in which they need one particularly badly. 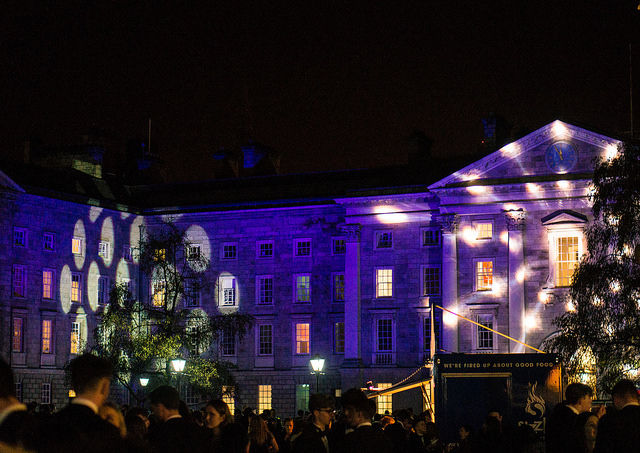 Even by the standards of student politics, this year has been a febrile one for USI, and it seems neither the pace of change nor the regularity of controversy will ease any time soon. A vicious accommodation crisis, a yawning general election and Brexit’s ominous shadow loom large over the student movement – and that’s before a cluster of tetchy students’ unions are factored into the equation. 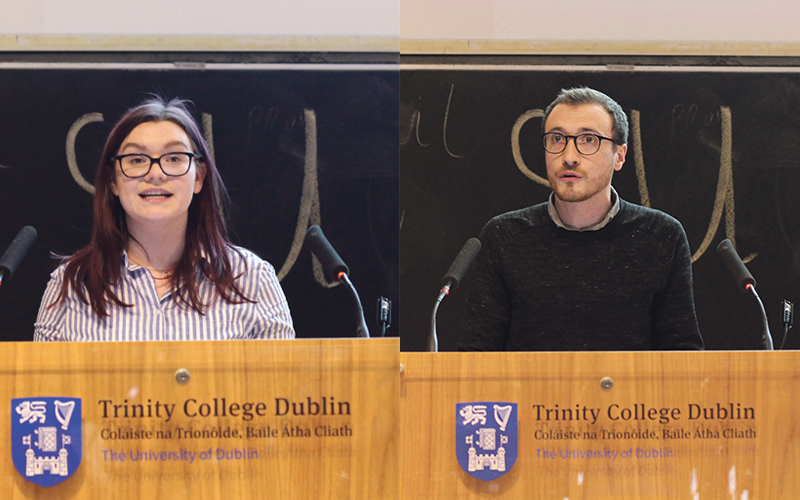 Whoever is elected USI President this year, then, has quite a job on their hands, and both Lorna Fitzpatrick and Oisín Hassan are at pains to make clear, in interviews about their candidacy with The University Times, that they are under no illusions as to the scale of the task that faces them. Hassan motions left and right at a set of student fires that will need extinguishing every day, while Fitzpatrick rattles them off in a list. Both candidates have extensive backgrounds in student politics and within USI, and both are pitching themselves as agents of change for an organisation that has this year regularly found itself cast into negative relief. It seems likely that the race will be very tight – and it’s hardly a surprise. Painting in broad strokes for a minute, it’s hardly unfair to either candidate to say there are a lot of similarities contained within their manifestos. Among the most interesting aspects of the race in this regard are the plans that both candidates offer for structural reform within USI. Both are keen to stress, albeit along slightly different lines, the need for a long-term plan within USI. 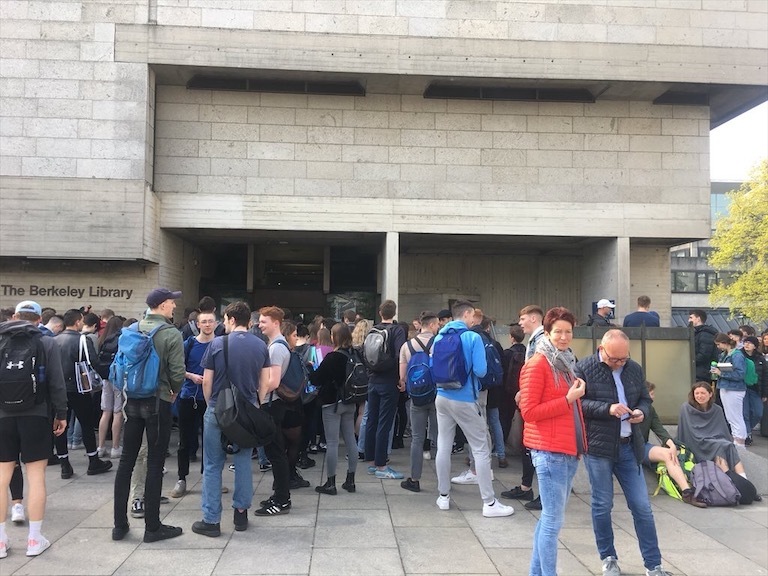 This, they say, will help reunify a student movement whose schisms became acutely apparent this year, when both Dublin City University Students’ Union (DCUSU) and Trinity College Dublin Students’ Union (TCDSU) publicly aired grievances with USI’s governance and priorities. Fitzpatrick, currently USI’s Vice-President for the Southern Region, wants to conduct a value audit that precedes the strategic plan (the strategic plan is something both candidates reference in their manifestos and interviews). Fitzpatrick says that “there’s a huge value in being a member of USI. I wouldn’t be running for this position if I didn’t believe so. But I do feel that we need to have data to pack that up. And I think undertaking this value audit is not just about the financial value, but the overall value of being members of USI”. For Hassan, who has served as USI’s Vice-President for Academic Affairs for the last two years, the structural change that he wants to make “creates something that we can communicate: we’ve got a clear vision, we’ve got a clear mission, we’ve got clear actions, it makes us transparent and it makes us accountable”. The idea that USI dropped the ball on higher education funding this year is one that is by now quite well trodden. Perhaps surprisingly, given his status as USI’s Deputy President, it is Hassan who is more forthcoming when the question is put to him, admitting that the union’s critics “did feel, to an extent definitely correctly”, that higher education funding “wasn’t high enough on the agenda”. “Higher education for me would be the main priority for the year”, he says. Fitzpatrick, more reticent, argues that “we have been engaged in higher education funding this year. It’s not something that has completely fallen from our perspective or our movement. It has been pushed forward in a number of different ways, from the lobby day to the actions around budget day. But I do think that we need to have a stronger focus on it at the very beginning of the year, and I think there’s ways that we can do that”. Both candidates unsurprisingly see communication as key to USI’s success. Here, however, interesting diversions appear in the detail and scope of their plans to ram home USI’s message to the various interest groups whose participation is vital for a successful student movement. 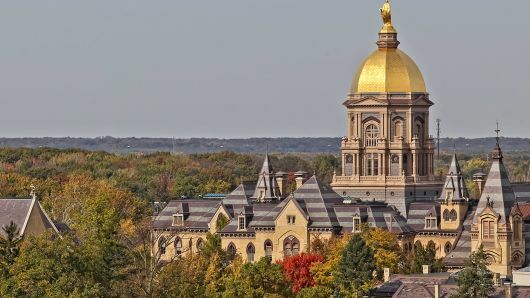 It’s not totally surprising that Fitzpatrick, as a vice-president for a region, has a slightly more finely tuned formula for connecting with students on campuses around the country. She pledges to engage directly with clubs and societies on campuses around the country, and mentions the idea of a “connected student movement” on several occasions over the course of our interview. 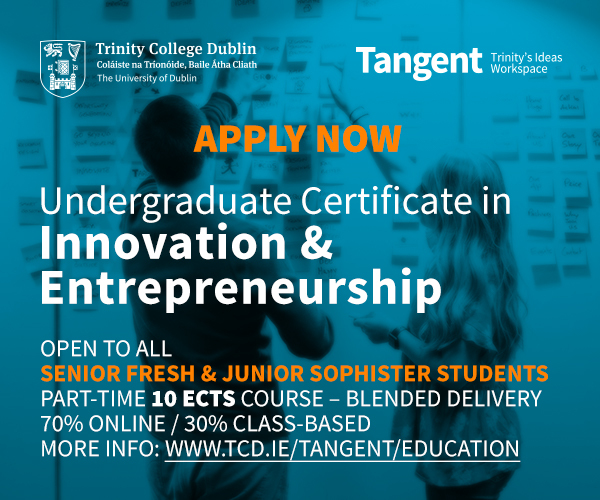 This, she says, can be achieved partially by setting up “communication groups around higher education funding, that students and students’ union officers can be involved in and can use to share ideas and best practice”. “That will allow us to be more proactive than reactive”, she says, “on areas and topics that are affecting our students”. If there’s an emerging narrative, it’s of Fitzpatrick as the agitator and Hassan as the policy-writer. But both are resistant to being pigeonholed. Fitzpatrick says that “it’s vitally important that we have a leader of an organisation that can rally the members and rally students, but also can represent them at the highest levels of government and negotiate the deals that are the best possible deals for students. And of course that is always going to be publicly funded education”. Fitzpatrick’s manifesto, however, is mostly narrower in focus when it comes to the prospect of a general election, full of ideas for localising USI’s lobbying efforts. “We also need to have a student manifesto”, she says, “and again I think that needs to be fed through our members and built upon based on our members and our policy book”. Hassan, meanwhile, insists that despite being “a policy person”, he can also do the campaigning. In a race that invariably sees both candidates attempting at times to be all things to all people, it will be interesting to see whose tightrope act is the more convincing. 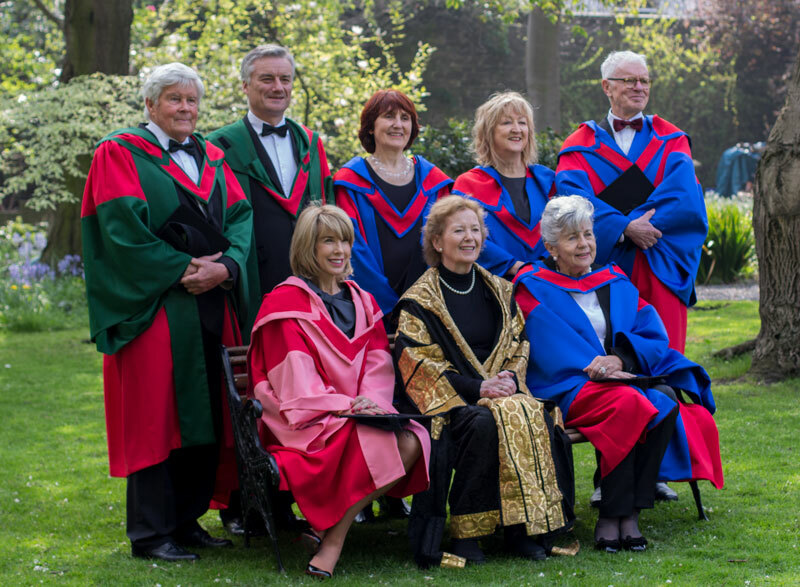 But it’s not only Irish politics that is casting a shadow over Irish student politics. Brexit also looms large, and both candidates are quick to admit that handling its fallout will be essential. Hassan says navigating Brexit’s pitfalls feels like being in a “disaster zone and you don’t want to crash into anything”, and wants to set up a Brexit taskforce. I quiz him on what it will look like, and the practicality of establishing it, and he says it will consist of both students’ union representatives and external Brexit experts. “It’s going to be a fast-moving scenario”, Hassan says, “and we have to be ready for all ramifications”. For Fitzpatrick, the main priority is working alongside NUS-USI to make sure that “students are not being negatively affected in the fallout of Brexit”. 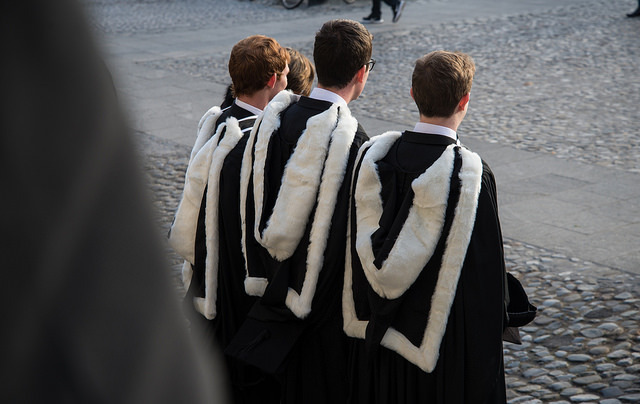 For students coming from Northern Ireland, the number of whom applying through the CAO has fallen despite a pledge of EU fee certainty by the Irish government, the challenge is to “remain strong in our call that no student is negatively affected”. On most issues, in truth, it is difficult to delineate between the candidates, and at times it almost seems there are shades of “anything you can do, I can do better” to the race. It is difficult, though, to view this as anything other than a positive aspect to a race being fought over by a pair of candidates who have put a significant amount of thought into their campaigns. Fitzpatrick, speaking in the context of the return of the Cassells report, says that “based on the most recent DIT cost of living survey,the average cost of living per month is €1,300. The highest possible rate of SUSI is half of that. So the reality is that our students are struggling. And we can back that up with our student stories, and we can gather those stories and push it through on a personal level”. Students’ union autonomy, for both candidates, is “going to have to be one of our main issues this year”. “We can do that”, Fitzpatrick offers, “through sharing best practice amongst our unions, to ensure that they’re running at the best that they can be. But then in terms of the national perspective on autonomy, we need to ensure that we have a student partnership agreement going forward and that students unions are recognised under law and recognised as the main student representatives within their institutions”. Hassan, backing himself once again as someone who can “change mindsets”, says it’s “all about dialogue, partnership and changing mindsets and cultures”. Hassan says he has “worked hard behind the scenes” with a view to establishing a greater degree of consensus between colleges and unions. “When people disagree on points, it starts to get watered down. And we do not want students’ union legislation that gets watered down”, he says. “I would have walked away”, he emphasises, “if I felt that I wasn’t relevant anymore, or if I didn’t have the ideas. But what I think the last few years has given me is that I have the birds-eye view that’s needed to identify the solution much quicker. And you have to be able to do that”. Fitzpatrick, only in her second year in USI, does not have the same pressure to defend three-year term limits, but is still unwilling to be drawn one way or the other. She says there’s “a lot to be gained from having officers who have engaged in the national union for a longer period of time, but there’s also a lot to be said for fresh ideas coming through and for new perspectives to come through from our membership, be that students or students’ union officers”. The candidates are neck in neck. Hassan may have claimed the vote of TCDSU’s council, but Fitzpatrick won the Dublin Institute of Technology (DIT) hustings. At a time when student politics needs a president who can operate with dexterity both on the streets and in the boardroom, it’s not yet apparent who students see as the more adept candidate for the position.